The Refined Geek » Lytro’s Illum is the Next Step for Lightfield. Lytro’s Illum is the Next Step for Lightfield. I first wrote about Lytro a while back when they introduced the first consumer grade lightfield camera to the market. It was an exciting development as this kind of technology was out of the reach of pretty much anyone prior to the original Lytro. Still whilst it was interesting from a technological perspective I just couldn’t bring myself to buy one, especially not after I picked up my DSLR again. Ever since then though I hadn’t heard anything further from Lytro, neither new developments nor tales of their demise, so I was left wondering if the Lytro that I envisioned was ever going to eventuate. As it turns out whilst we might not be seeing Lytro sensors in all DSLRs we will be seeing a serious piece of camera kit and it’s quite incredible. 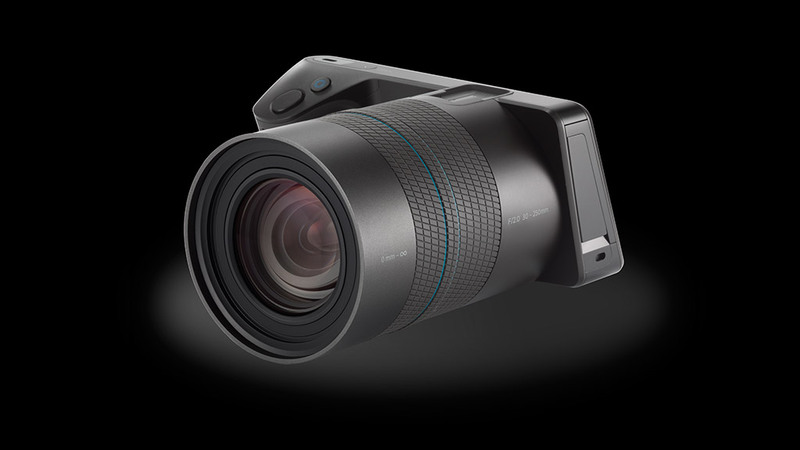 Lytro announced the Illum which is their first entry into the upper end of the photography market. It looks very similar to a lot of the mirrorless 4/3rds that are available now although it doesn’t have an interchangeable lens system and lacks a viewfinder of any description. Normally these would be things that would count heavily against it but the specifications of the Illum are, honestly, so incredible that if anyone else had announced them I’d say they were fake. That lens is a 30-250mm F/2.0 thats capable of doing 1:3 macro that’s made up of only 11 elements in 3 groups which sounds downright impossible when you compare it to similar DSLR lenses like the Canon 70-250mm F/2.8 (19 groups with 23 elements). The sensor has also been buffed up considerably tipping the scales at 40 Megarays which gives you a print resolution of approximately 5 megapixels. That’s well below most DSLRs available today but it’s above the crucial 4MP threshold required for a standard sized photograph. The back also sports a 4 inch touchscreen that includes a depth histogram to aide with taking highly refocusable pictures. Now anyone who’s made the mistake of becoming interested in high end photography gear will look at those specs, mostly the lens, and wonder how a startup like Lytro was able to do something that the big lens makers haven’t been able to accomplish with their decades of experience. Lytro says that their seemingly impossible lens specifications comes from the fact that they’re doing most of what the lens does mechanically in software instead. This drastically cuts down on the element count and enables the lens to do things that you’d usually require multiple, distinct lenses to do. I’m willing to give Lytro the benefit of the doubt here but I’ll have to see one in action before I make a final judgement on just how good it is. One thing that I find a little strange about the design is the way Lytro believes it will be used. The Illum angled body isn’t done just for aesthetics, instead it’s been designed to be used as if you’re shooting at hip level rather than at eye level. Whilst any photographer will tell you that one of the fastest ways to grow is to stop shooting everything at eye level shooting at hip level has its own set of limitations and I’m not sure that designing a camera around that idea is completely sound. Again this is something I’d want to see in action first before laying down judgement but it’s something that feels it’s different just for the sake of it. The low final resolution is also likely to be something that will hinder adoption among more serious photography enthusiasts. Whilst you’ll be able to print the traditional photo size anything larger than that starts to become problematic. This probably isn’t a problem for those who are just viewing them digitally, which more and more people are doing these days, but it does mean that the Illum is probably one step short for the professional and likely a little too expensive for the intrigued amateur looking to move up from their phone camera. The original Lytro was in a similar market position though and was obviously successful enough for Lytro to continue development so there’s probably a market for it that I’m just not seeing. All this being said I’d really love to get my hands on one of the Illums to see just what its capable of and whether the output from it is enough for me to ditch my DSLR for certain things. The lens on the Illum is what intrigues me the most as its capabilities are just incredible and I really want to see how it compares to similar offerings from the long standing DSLR companies. We don’t have to wait long though as the Illum is scheduled to hit the streets on July 15th for a cool $1499 and whilst I probably won’t shell out for one immediately I’d certainly be interested in borrowing one to give it the once over.